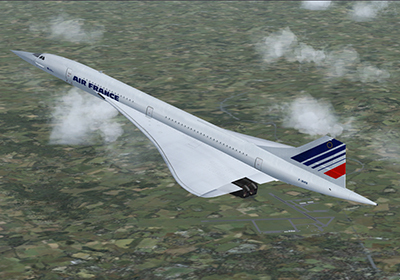 Concorde-X – Flight Sim Labs, Ltd. The long-awaited new product from Flight Sim Labs, has been released and is now available for electronic purchase and immediate download! Offering the *easiest-to-fly* but also *most complete* Concorde aircraft simulation ever to be produced for a desktop flight simulator, the Concorde-X has arrived to set new standards with its amazingly accurate systems, stunning photo-realistic graphics, vigorously detailed external model and virtual cockpit, and a fully immersive three-dimensional sound experience! Look at the Features for a summary of what the all-new Concorde-X has to offer. 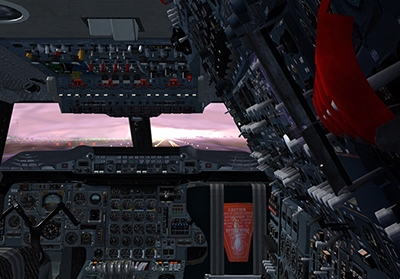 Click the thumbnails on the left to view the Concorde-X screenshots we have prepared for you and don’t forget to take a look on the detailed description section below for a more detailed look into how Flight Sim Labs managed to break the FSX barrier and produce the best aircraft addon yet to reach your PC! *NOT COMPATIBLE* with Prepar3D v4! November 2018: Version 1.40 (FSX), 1.40 (P3D) released! 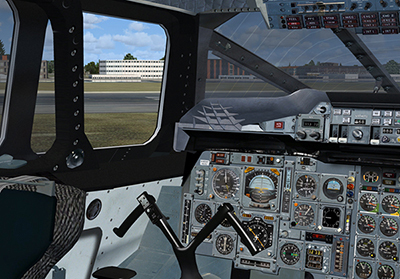 Compatible with Flight Simulator X (SP2/XPack/Steam) and Prepar3D v2/v3 platforms! Lockheed Martin Prepar3D v2.5 / v3.X (up to v3.4.22.19868) – v4 is NOT supported! You will need NVidia drivers 376.33 or older, if you are using Prepar3D v3.4.22.19868 due to a limitation in the Prepar3D graphics code causing DXGI errors. Activation of this product takes place automatically if your PC is connected to the Internet, or using a manual process if you wish to run the product offline on a separate computer. The computer running the Concorde-X is required to be connected to the Internet for periodic serial number revalidation. Make backups of the installer executable immediately after you download. We offer 365 days of unlimited redownloads for all purchases. FSX ONLY: If your download service has expired, you can now renew your order for $4.99 by clicking this link. Images shown may include third party products such as Tomatoshade, GSX etc. Minimum: Dual Core CPU, 4GB RAM, Graphics card with 512MB dedicated memory running Windows 7 (32 or 64bit) Service Pack 1. Recommended: Quad-Core or i7 Processor, 8GB RAM, 1024MB Graphics Card, Win10 64bit. Be aware that running the simulator at screen resolutions higher than 1920×1080 will cause significantly increased VAS memory requirements and it is NOT recommended. I purchased the Concorde-X more than a year ago but I’ve lost my installer! What do I do? *FSX ONLY* We are now offering a redownload service for your electronic purchase, for a nominal price. You need to have your original serial number after you purchase the redownload. 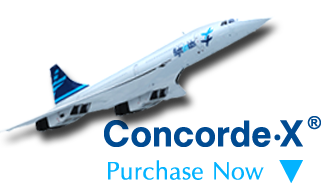 For more information and to buy this service, please click our Concorde-X redownload service link. The installer needs my Serial Number to continue, but I can’t find it! Please look at your purchase receipt – the Serial Number is in big bold letters and starts with “CONCORDEX-” for FSX versions or “CONCX-P3D-” for P3D versions. If you don’t have your purchase receipt in your email inbox, double-check your spam folder. If you’ve lost or can’t find it, visit the eSellerate Store support page to have it emailed to you. I heard that the Concorde-X product requires activation. What do I have to do? You shouldn’t have to do anything to activate your Concorde-X product – the activation mechanism should be transparent to you as long as your computer is connected to the Internet. If the Concorde-X loads properly and you can fly, then you can be assured the activation has already taken place. I get an error “loading CIVAC.gau” and then the sim closes. Why? 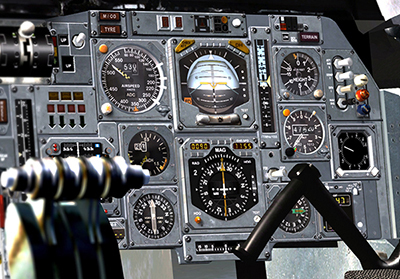 As per the instructions in the manual and the readme file, you need to install the SimuFly CIVA-C freeware gauge. You can find and download it clicking this link. My computer crashes when I first run the Concorde-X. Why? 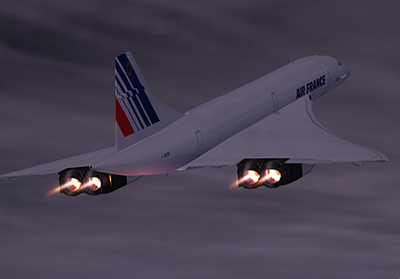 A small percentage of users are reporting a Flight Simulator X crash to desktop when they try to run the Concorde for the first time and the activation mechanism kicks in. The reason for this has to do with FSX (and Vista / Win2008) not properly handling the security facility called “Data Execution Prevention” (DEP for short). There are several crashes reported on various flight sim-related news sites, related to FSX and DEP – the solution is always the same: The user has to disable DEP entirely, to run FSX properly. For further details and a step-by-step guide on how to solve this problem, please follow Lefteris’ blog entry here. I am getting texture corruption and/or disappearing aircraft parts. Why? FSX has a known bug with disappearing textures when it becomes overloaded with textures requests from the combination of scenery and aircraft parts. Thanks to Jesus Altuve who found this undocumented HIGHMEMFIX entry in fsx.cfg, it’s now possible to work around and resolve this bug. 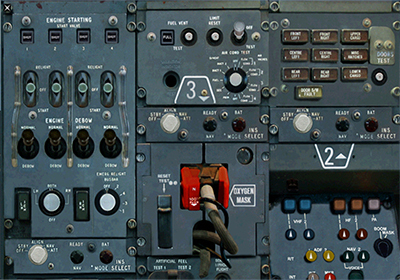 Flight Sim Labs produced a utility to fix the problem permanently in your FSX installation – you can find this utility here. I am experiencing out-of-memory issues and I have UTX Europe installed. Why? UTX Europe needs to be updated to at LEAST v1.4 using the service pack found on their web site, otherwise you’ll be certain to run out of memory with the Concorde. Also, if you’re running FSX Acceleration, be sure to use the patch that you will find for that version. Details are posted by Nick N in the SimForum link here. Why do I have to select between highest quality and normal quality textures? You should always select highest quality textures to enjoy the Concorde-X in its fullest. Normal Quality textures are to be used only if you experience graphics issues with aircraft texture loss in FSX due to lower graphics card capacity. The textures used in Normal Quality have been reduced in size and correspondingly offer a lower visual quality experience. Please only use them if you don’t care about the visual quality loss. My Concorde-X external model looks a bit blurry from some visual angles. Why? The ConcordeX product correctly relies on mipmapped textures to reduce visual artifacts when users fly it for a long time. Most high-end addon aircraft products do not use mipmapped textures in their external model fuselage to produce crisper output, but this results in visual artifact problems when FSX is kept running for a long time. Unfortunately, FSX sometimes miscalculates the visual eyepoint camera distance from the aircraft, therefore dropping to a lower mipmap level than required, which causes the drop in crispness. You can reset the visual accuracy by slightly altering your camera angle. The idea camera zoom for external views is 0.50, then use Ctrl-+ and Ctrl– to move the camera in our out. Why are my frame rates lower at Mega-Airport Heathrow-X than any other addon scenery location? Mega-Airport Heathrow-X is a beautiful addon airport scenery. It was among the first to come out for Flight Simulator X and as such, did not employ all the frame-rate saving technology that later sceneries make use of. This means performance is worse overall for any aircraft flying around that area. I don’t have Internet Access on my Flight Simulator computer. Can I still purchase the Concorde-X? Yes, you can purchase and download the Concorde-X installer on a different computer. In this case, behind-the-scenes activation will fail to contact the eSellerate activation servers and you will be asked to activate manually. The process is simple and you will be guided through every step of the way by easy-to-follow dialog windows that show you exactly what is required to activate. This is a one-time process, so you will not have to do it every time you run the Concorde, provided that your computer hardware characteristics don’t change. I’d like to run the Concorde-X both on my desktop and on my laptop – do I need to buy separate licenses? No. We allow you to use the Concorde-X product on up to two separate computers. Activation counters are smart enough to distinguish between them, so you will be able to run the Concorde-X on both. I get “Error 1055: Activation Limit met.” – I’ve changed hardware and run out of activations – why did this happen? Normally, this problem only occurs if you change the hardware you use to run the Concorde-X too often (more than a certain number of times within a limited timeframe). If this has happened to you, please contact our support team and we’ll be happy to assist as long as we can verify you’re a legitimate owner of the Concorde-X (and you haven’t shared your license with all your friends). I get “Error 1082: Could not install / verify security validation engine” when I start my Concorde-X and then my Flight Simulator X quits. What’s wrong? This problem occurs for a very small number of users who run Flight Simulator X under Vista 32 or 64 and have installed other addons which use the eSellerate validation engine, but might not follow eSellerate guidelines for proper placement of the eWebEngine.dll. You’ll need to uninstall the Concorde-X, search your entire disk for other instances of eWebEngine.dll and delete them. Then, reinstall the Concorde-X. It is advised that you disable UAC (more information about how to do this here) and you disable your antivirus program before reinstalling, as we’ve seen instances where Avast or AVG will interfere with proper installation. Running FSX or P3D in Compatibility mode will also cause this issue. if you still wish to run FSX in XP Compatibility mode, in Windows 7 or Vista 64, you can fix this problem permanently, by copying c:\ProgramData\eSellerate\eWebClient.dll into c:\Program Files (x86)\Common Files\eSellerate\eWebClient.dll (create the folder if it doesn’t exist). In Windows 7 or Vista 32, copy c:\ProgramData\eSellerate\eWebClient.dll into c:\Program Files\Common Files\eSellerate\eWebClient.dll (create the folder if it doesn’t exist). I get “Error 1025: A valid Concorde-X Serial Number was not detected.” – What’s wrong? You need to uninstall and reinstall the Concorde-X to fix this problem. I get “Error 1002: A valid Concorde-X Serial Number was not detected.” – What’s wrong? I get “Error 815: A problem was detected with your Concorde-X installation.” – What’s wrong? 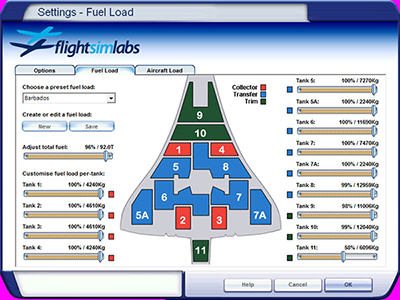 You need to contact Flight Sim Labs support for help with this technical issue. I get “Error 812: A problem was detected with your Concorde-X installation.” and a weird hash number– What’s wrong? You need to remove Compatibility Mode from your FSX or P3D settings. I get “Error 1044: A problem was detected with your Concorde-X installation.” – What’s wrong? This is an issue found mostly on PCs running antivirus products which falsely recognize the eSellerate protection mechanism as malware. Make sure you temporarily REMOVE your antivirus product, then install the Concorde from scratch (uninstalling it first, if needed) by running as administrator. Then run the Concorde, and once it’s run successfully a couple times and you’re sure about it, reinstall the antivirus product. Beware: It’s not enough to only disable the antivirus software – you need to REMOVE it entirely so the installation happens properly. If you still experience issues after following these steps, try turning off your Internet connection and then running the Concorde-X. An error 0x80072EE7 dialog should pop up, suggesting that activation could not succeed as the machine could not connect to the network. You can then choose the option to activate manually, using the instructions that are shown in the dialog boxes that follow. Should you still have issues or fail to use manual activation, please contact Flight Sim Labs support for help with this technical issue. 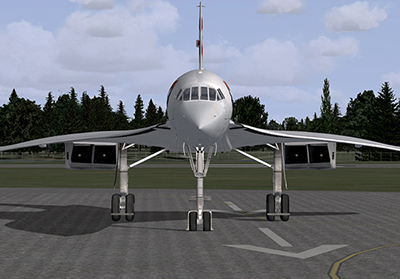 Flight Sim Labs starts its airliner simulation product line with the fastest airliner aircraft of them all, the Flight Sim Labs Concorde-X! 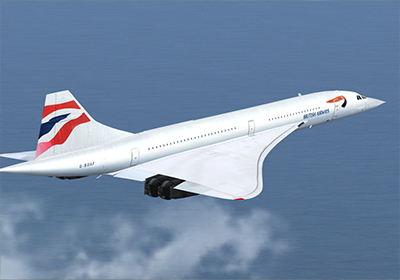 The only supersonic aircraft ever to enter commercial passenger service, the Concorde was first rolled out on 11 December 1967, to continue its majestic career until 24 October 2003, when the last BA flights landed at Heathrow and Concorde was officially retired. 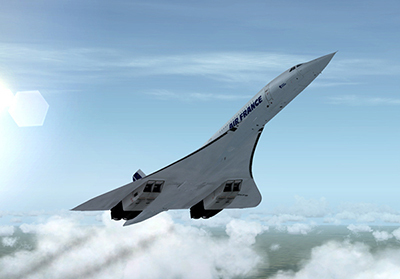 Flights of the Concorde, though, continued to take place all over the world on PC simulators, with the Flight Simulator 2004 SSTSIM Concorde product, which was the most successful replica of the real bird ever to be found on a desktop simulator, but sorely missing from the newest and most advanced Flight Simulator X version… until now! 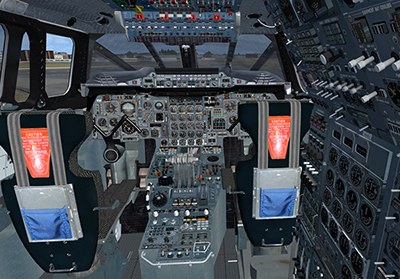 Building on their knowledge and expanding their experience from having worked on several award-winning aircraft addon products in the past, the Flight Sim Labs development team has now released the brand new Concorde-X add-on, which has been developed from the ground up to exhibit a complete and faithful simulation of the magnificent airliner. 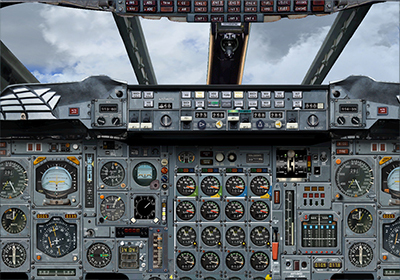 A completely new and stand-alone software development kit allowed Flight Sim Labs to put together all of the systems, gauges and panels found in the real Concorde, while maintaining super-high performance in the final result. Using its large network of technical advisors, including Concorde Captains, Engineering Officers, Field engineers and some of the same people who were involved in building the actual aircraft, the team was able to ensure that accuracy in the final product was verified down to the last visual detail, but also in all its flight and systems operations. What’s most exciting, though, is that using all-new software technology, the virtual pilot will find they can assign some, or all of their otherwise daunting three-person flying duties to the new Virtual Flight Engineer, allowing them to concentrate on the easier and fun parts of flying the bird – making this to be the easiest-to-fly, fullest Concorde simulation ever to be built, a sure favorite of Flight Sim Labs simulation customers. Copyright © 2018 Flight Sim Labs Ltd. | All rights reserved.